Another Phatiah’s Excellent Outing at WasilatCodedReloaded. 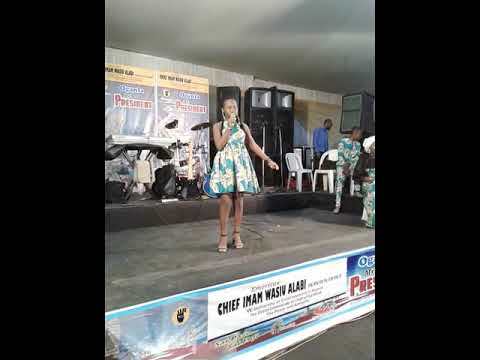 At an event that had a galaxy of stars such as Wasiu Alabi Pasuma and Small Doctor on display,it was an excellent delivery by Phatiah at WasilatCodedReloaded, as she thrilled and gave the audience more than they asked for,or expected from her, she is definitely waxing stronger. Teefamous, Ogagun SK, Smallmama and others also displayed their stuff on stage. Phatiah performs at Asisat Oshoala's 2018 Football for Girls Clinic Finals. Ts Tunky Won 2018 CFA AWARD.